PhraseExpander comes with a set of predefined autocorrects that you can easily import to get started. 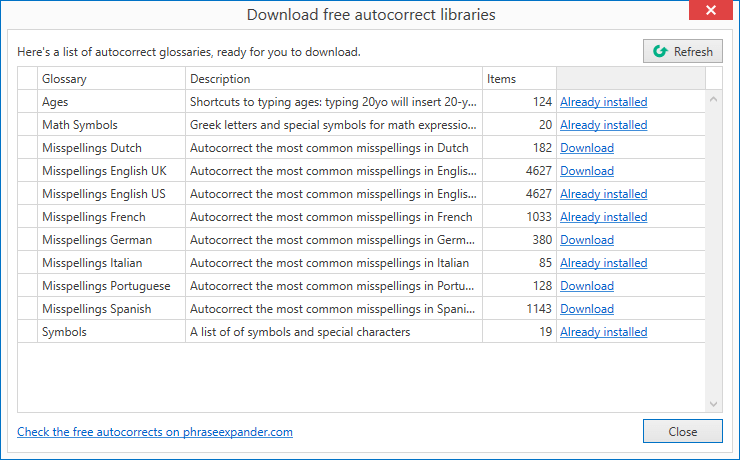 You can download them from the autocorrects page or directly from PhraseExpander. The glossary will be automatically added to your glossaries and is ready to use. NOTE: We also offer prebuilt free medical templates for you to download and use. Check them here.